Welcome to Zion Lutheran Church, Stratford! 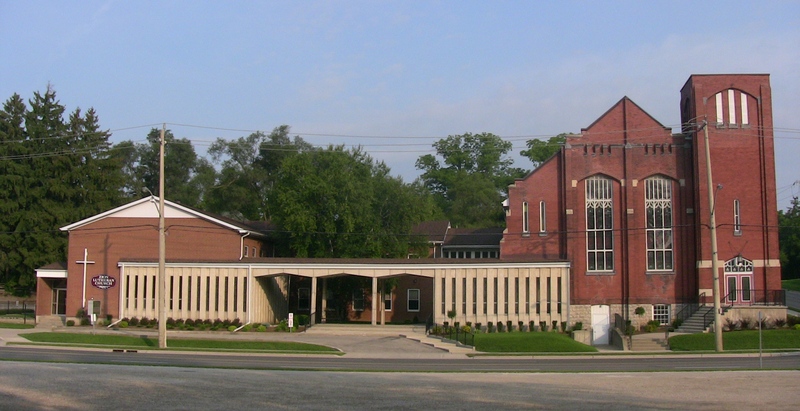 We are a busy, active congregation in beautiful Stratford, Ontario – and we’d love to welcome you! No Sunday School during the summer, but the unsupervised nursery is available year-round. You are also welcome to attend our special services during Advent, Christmas, and Lent. Monday, Tuesday, Wednesday, Thursday and Friday weekday mornings, or by appointment. We are here to help at these important times in your life journey. Please contact Pastor Jeff Laustsen directly at 519-271-8527. It is the policy of Zion Evangelical Lutheran Church (the “Church”) to provide goods and services (together referred to as “Services”) to persons with disabilities in a way that is consistent with the principles of independence, dignity, integration and equal opportunity. Zion Stratford makes some of its meeting and assembly rooms available to community groups for a modest fee. We’ll help if we can! Please call our office at 519-271-8527 or zionlc@golden.net for details.